$2R-1\le C(R)\le 2R+1$ для $R=2,3,\ldots$, откуда следует, что $C(R)\sim 2R$. Вопрос о точных константах здесь открыт. которому $f$ имеет неотрицательное преобразование Ганкеля (в смысле меры). функция отрезка $[0,1]$, а также свойства свертки Бесселя. положительно определенная функция, условие удвоения, преобразование Ганкеля, оператор обобщенного сдвига Бесселя. 1. Bateman G., Erd'elyi A., et al., Higher Transcendental Functions. Vol. II. NewYork: McGraw Hill Book Company, 1953. 2. Ga'al M., R'ev'esz Sz. Gy. Integral comparisons of nonnegative positivedefinite functions on locally compact abelian groups // arXiv:1803.06409[math.FA]. 3. Ghobber S., Jaming P. The Logvinenko--Sereda theorem for theFourier--Bessel transform // Integral Transforms and Special Functions.2013. Vol. 24, no. 6. P. 470--484. 5. Gorbachev D.V., Tikhonov S.Yu. Doubling condition at the origin fornon-negative positive definite functions // Proc. Amer. Math. Soc. 2018 (inpress); arXiv:1612.08637 [math.CA]. 6. Gorbachev D.V., Tikhonov S.Yu. Wiener's problem for positive definite functions// Math. Z. 2018. Vol. 289, no. 3-4. P. 859--874, DOI10.1007/s00209-017-1978-9. 7. Gorbachev D.V., Ivanov V.I., Tikhonov S.Y. Positive $L^p$-bounded Dunkl-typegeneralized translation operator and its applications // Constr. Approx. 2018.P. 1--51. DOI 10.1007/s00365-018-9435-5. 8. Efimov A., Ga'al M., R'ev'esz Sz. Gy. On integral estimates of nonnegativepositive definite functions // Bull. Aust. Math. Soc. 2017. Vol. 96, no. 1.P. 117--125. 10. Levitan B.M., Sargsjan I.S. Introduction to spectral theory: Selfadjointordinary differential operators. Transl. Math. Monogr. Vol. 39. Providence,Rhode Island: Amer. Math. Soc., 1975. 11. Logan B.F. An interference problem for exponentials // Michigan Math. J. 1988.Vol. 35. P. 369--393. 12. Rudin W. Fourier analysis on groups. New York: Interscience Publ., 1962. 13. Shapiro H.S. Majorant problems for Fourier coefficients // Quart. J. Math.Oxford Ser. (2). 1975. Vol. 26. P. 9--18. 14. 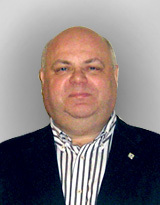 Shteinikov Yu.N. On the set of joint representatives of two congruence Classes// Proceedings of the Steklov Institute of Mathematics. 2015. Vol. 290, no. 1.P. 189--196. При поддержке: Результаты исследований опубликованы при финансовой поддержке ТулГУ в рамках научного проекта №\:2017-24ПУБЛ.